Kids' Play is a painting by Janet Biondi which was uploaded on November 5th, 2015. This is a painting of my daughter's friend, Jesse, in Hawaii. 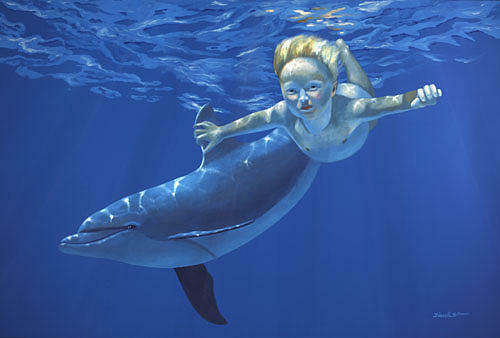 I photographed Jess in a swimming pool and then superimposed the dolphin into the painting. There are no comments for Kids' Play. Click here to post the first comment.